To be honest, I’ve only been (actively) following more movie award shows since last year. Before that I never heard about the nominations and categories until after the award shows. I have to say that I find it a bit difficult to stay on track with these ceremonies, mainly because they are so soon into the new year. My mind is still trying to put itself together again after the hectic period at the end of the year, while suddenly the shows are already over! The BAFTA’s, the Oscars, The Golden Globes etc. Since last year I’ve been trying to watch as many of the nominees as possible. My focus lies mainly on the Oscars, though awards like the BAFTA’s and Golden Globes show similar nominees. Let’s see what movies have a chance at getting nominated. I put some of my favorites and other people’s favorites together. Oh, how I love Olivia Colman. They couldn’t have picked anyone better for the role of Queen Anne. Her manical way of acting made her look genuine, with making me laugh out loud as well. It was hilarious, as well as upsetting to follow the live of Queen Anne. The performances of Rachel Weisz and Emma Stone complemented this grand character amazingly. 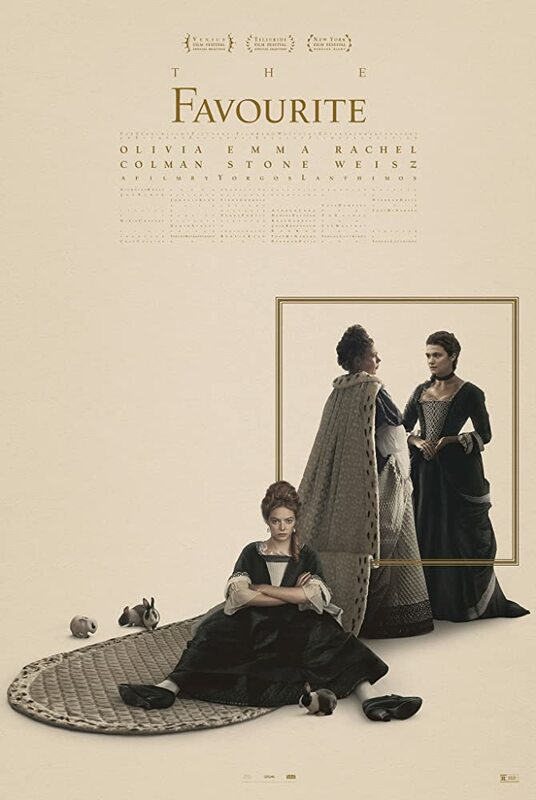 Sarah Churchill (Rachel Weisz) shows a demanding, bossy character that almost patronizes Queen Anne. Abigail Hill (Emma Stone) shows the opposite. A caring, compassionate woman, who tries to gain the heart of Queen Anne by showing interest in the Queen. Although this is such a good movie, I’m scared it will end up in the shadows of the more ‘popular’ movies. Hard to get past the movie awards with this one. It’s undeniable that the music of this movie will have a high chance of winning. A beautiful and tragic love story, combined with following the career of a pop star. 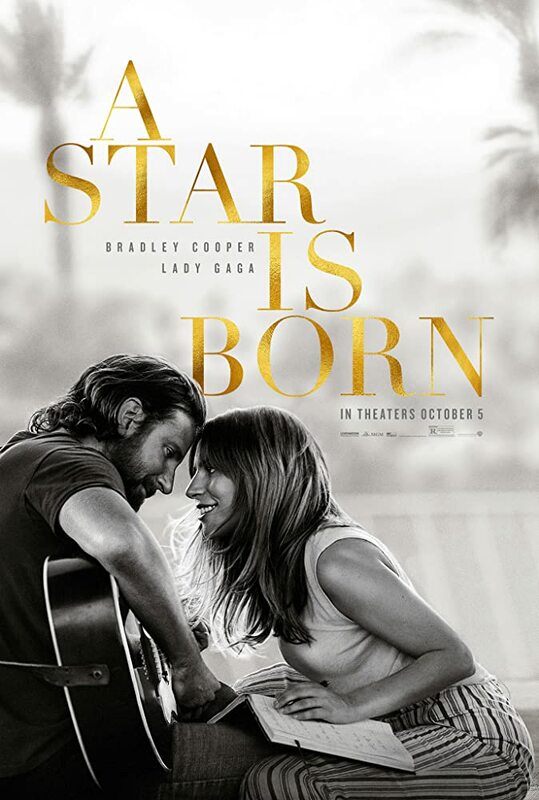 Bradley Cooper and Lady Gaga had a great chemistry and their acting was great. Though for me, the movie wasn’t the wow I expected to get. Love stories can often be predictable, and honestly this one felt the same. The rising of the one, the collapsing of the other. From the first moment that I saw Rami Malek as Freddie Mercury, I thought it looked amazing. Before that I found it hard to imagine Rami Malek as Freddie Mercury, though he looks as unique and quirky as someone could make Freddie. As an immense lover of music and stories behind the music, this movie is an astonishing piece of art for everyone. 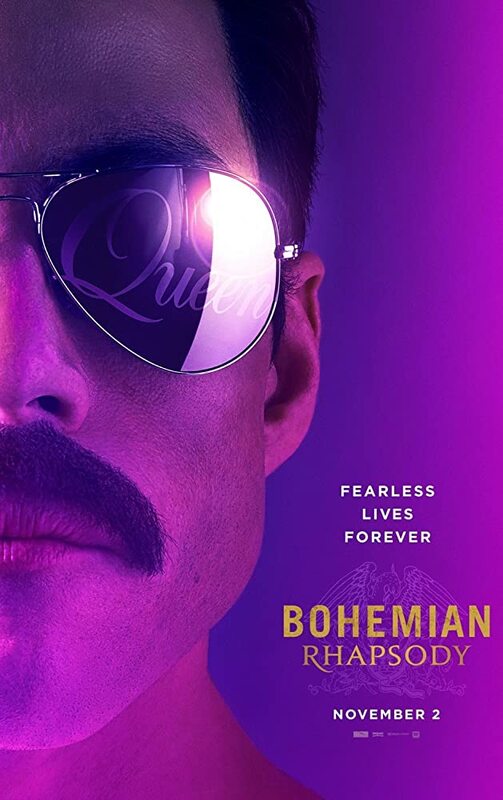 Whether you know a lot or know about nothing of music and Queen, this movie will interest you. Beautiful representation of a legend group. The best moment to bring a movie into the world in my opinion, is towards the end of the year. To me, it feels that movies that are more recent will get more nominations/prizes. Partly because it’s still so fresh in the mind. BlacKkKlansman could lose it if that’s the case. True stories always make me end a movie with a difficult feeling. You tried to enjoy the movie, though it’s about something terrible that happened and it’s totally not enjoyable. I enjoyed this movie though. 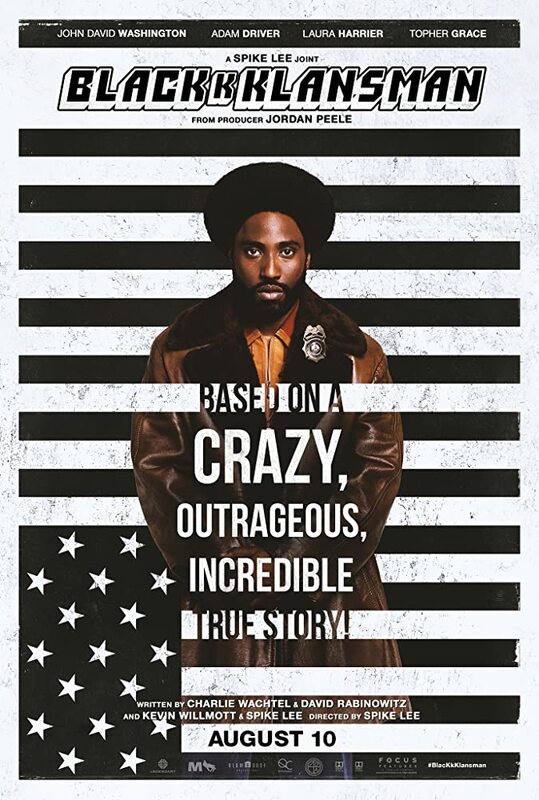 They told the true story of Ron Stallworth in a serious way, with lighter scenes to make the movie better to handle. I don’t think this movie will get any nominations, though I believe it should be named here. 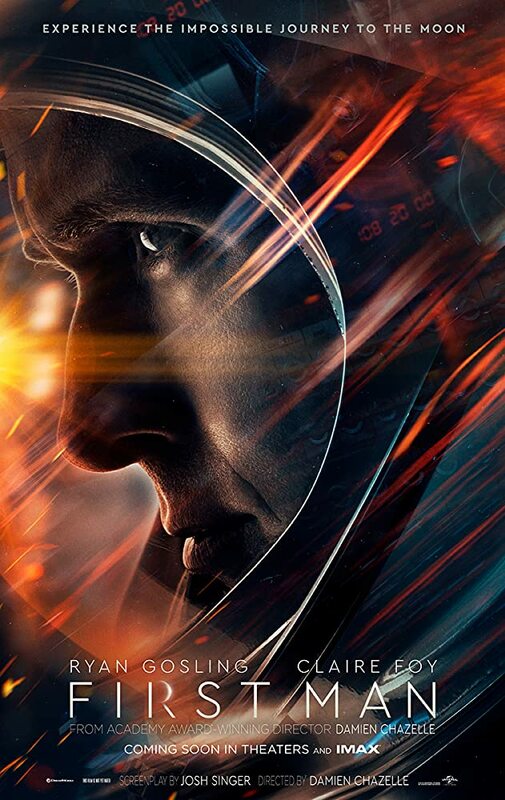 This movie tells the story of Neil Armstrong. I never knew what a hard life he had, and everything he had to give up. This movie made me respect the astronauts more, getting to know more about the behind-the-scenes of the specific Gemini and Apollo mission. During the entire movie I had the idea that I was an astronaut myself. The scenes inside the capsule made me feel like I was there with the astronauts, as it’s realistic filming made me actually a bit motion sick and I felt the pressure in the capsule on me. You feel like you are in space. Why haven’t you named that movie and that other movie? That’s because I haven’t watch every/most of the nominated/predicted movies yet. Under here a list of some of the movies I haven’t watched yet, though being named a lot as possible nominations. I’m trying to watch more of the nominated movies, besides my important reading life and countless shows I also want to watch. I’m curious what the nominations are going to be, and of course who will end up with a little trophy in their hands. Who do you think should win?